Embernagra brunnei-nucha Lafresnaye, 1839, Veracruz, Mexico. Nine subspecies. French: Tohi a nuque brune; German: Braunkopf-Buschammer; Spanish: Salton Gorricastiano. 7-7.5 in (17.19.5 cm); 1.2 oz (33 g). Sexes similar in color. A medium-sized sparrow with a chestnut cap, black forehead and side of face, a black band across the throat (lacking in some populations), a white throat, gray flanks, and olive-green back, wings, and tail. Juveniles have a blackish brown head with brownish olive upperparts, white mottling on the throat, and a yellow-streaked belly. 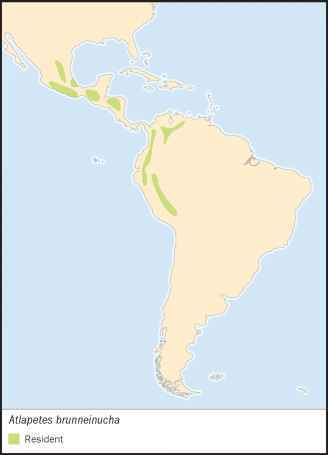 Resident from southern Veracruz and Guerrero south to Panama, and in South America from northern Venezuela and Colombia to southern Peru. Montane evergreen forest and secondary forest. Do not form flocks, but individuals of a pair stay together, and when young are fledged the family group feeds together for some time. They live in dense undergrowth and rarely sing from an exposed perch. They commonly puff out their white throats. Forage on the ground primarily for insects. They lurk on the outskirts of a column of army ants where they presumably capture insects that are flushed by the ants. Monogamous, and the individuals of the pair are always found close together. They seem to produce one brood per year, and the clutch contains one to two eggs. 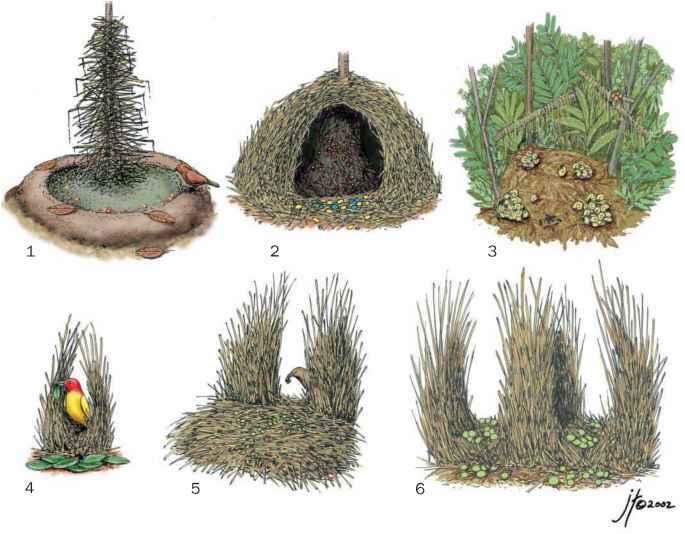 Nests are placed near the ground. Incubation and fledging periods are unknown.